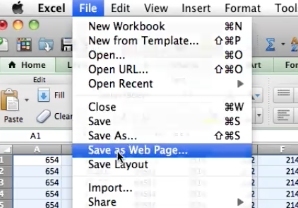 To export an excel spreadsheet as a web page select file. Then click on save as web page. 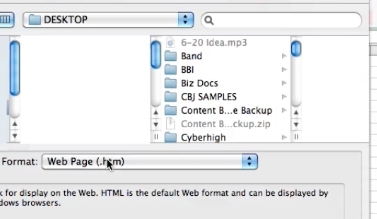 In the drop down you’ll want to name the file. Select if you want to export the whole workbook, the worksheet, or just some selected cells and click ok. Excel will now export your spreadsheet as a web page.